Very beautiful. 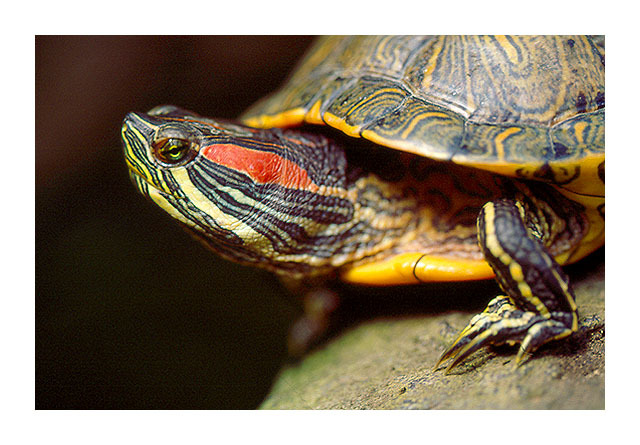 The head of the turttle looks like a colored drawing. Very nice. A very good photograph. My congratulations, Teresa Rosa. Wow, Teresa, so great moment! Congrats! Very beautiful turtle. Her make-up is wonderful. Nice shot!!! Nice macro. Very well done. Congrats, Teresa. Excellent macro with perfect detail, colours and light! Wow it`s nice and a great image, congrats Teresa.